Have we got an awesome project today or what?! Vivian Keh has all of the details AND A FULL YouTube VIDEO TUTORIAL for you… so grab a cup of coffee and enjoy! Welcome, Hampton Art fans! A friend of mine has boy and girl twins that will be turning 1 year old this weekend. So I'd like to share with you a pair of cute tags I made to top off their gifts. 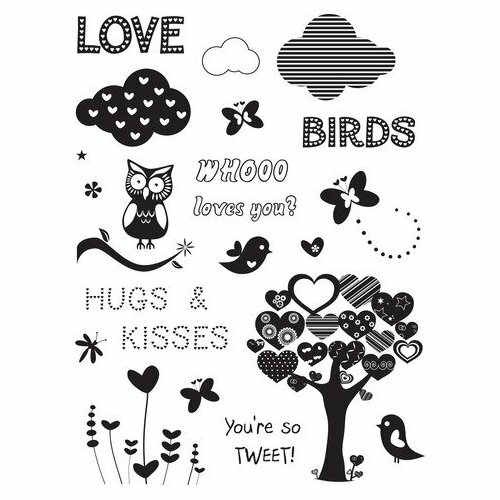 I used the delightful Hampton Art/ Art Warehouse SC0040 Whoo Loves You Stamp Set for the clouds. You may remember them from my last post here with Hampton Art! 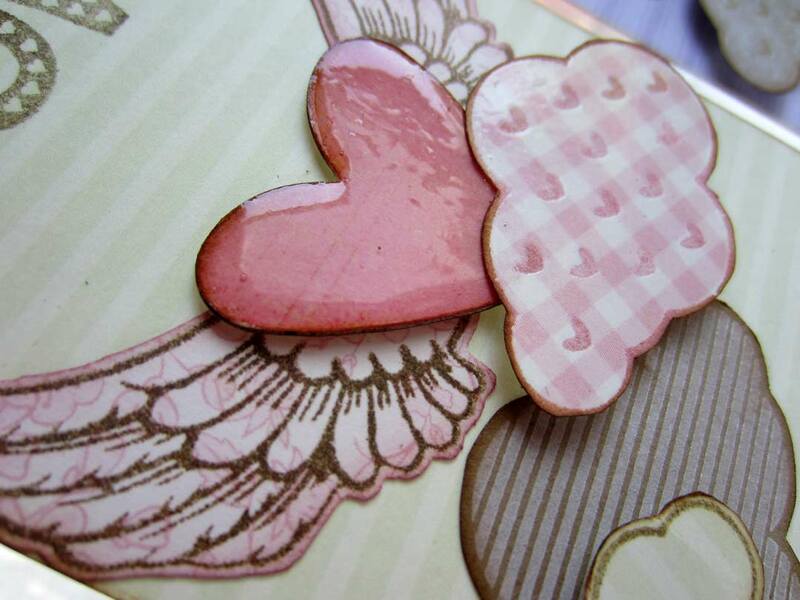 I also used Hampton Art's SC0218 Clock Stamp Set to make whimsical winged hearts on each tag. In order to both preserve the cute patterns from my chosen papers and to integrate texture from the stamps themselves, I employed a lot of clear embossing. Ink up your stamp with a nice, sticky embossing ink, stamp your image, sprinkle with clear embossing powder, tap off the excess powder, set your heat tool on it, and watch in wonder as embossing transformations happen before your very eyes haha! 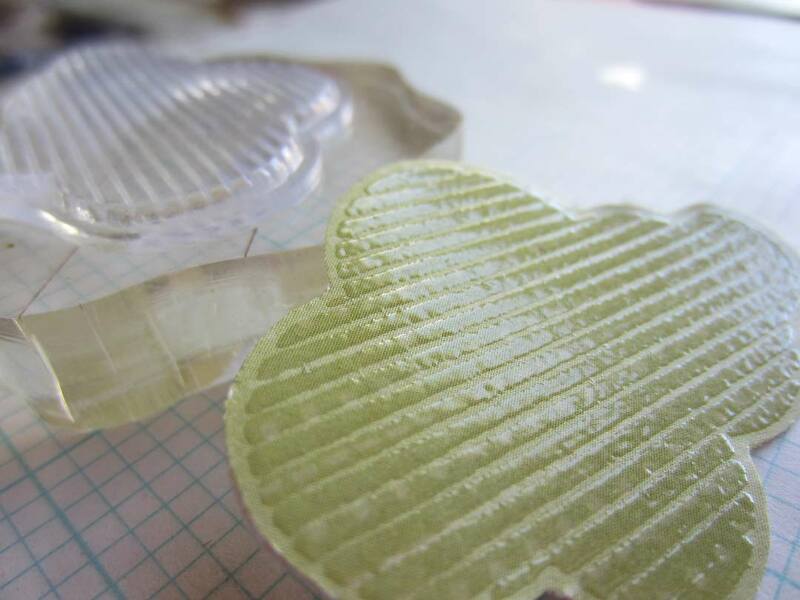 Embossing can act as a mask, nicely preserving areas of your projects that you want left as is. The areas that haven't been embossed can then be further altered. TIP: Different embossing powders confer different levels of shine from eggshell to high gloss, so play around with what's available so you can create the effects you want for each project! 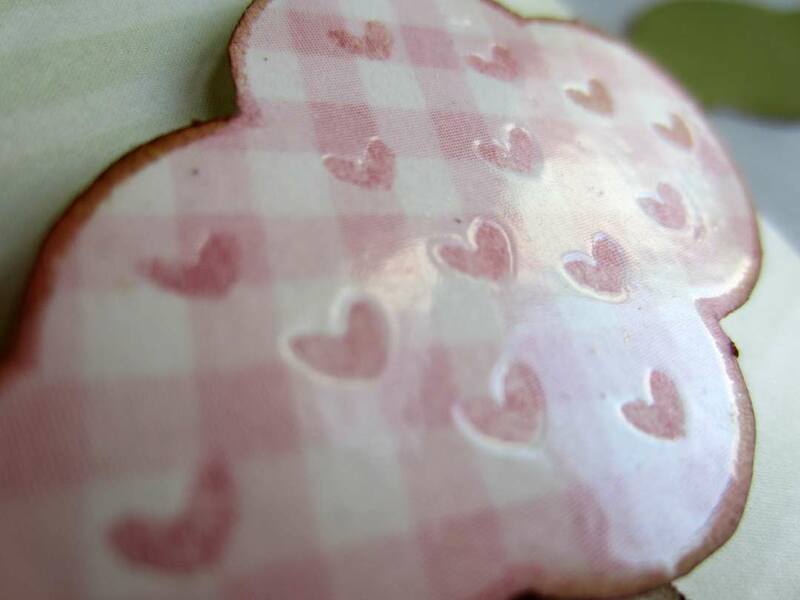 After I embossed the heart cloud below, in order to make the hearts pop a bit more, I blended a darker pink distress ink into the areas that hadn't been embossed. The cute gingham pattern of the paper was thus preserved, and the adorable hearts from the stamp were also allowed to share the stage! After fussy cutting the cloud, the same ink was applied to the edges to help the entire cloud pop! 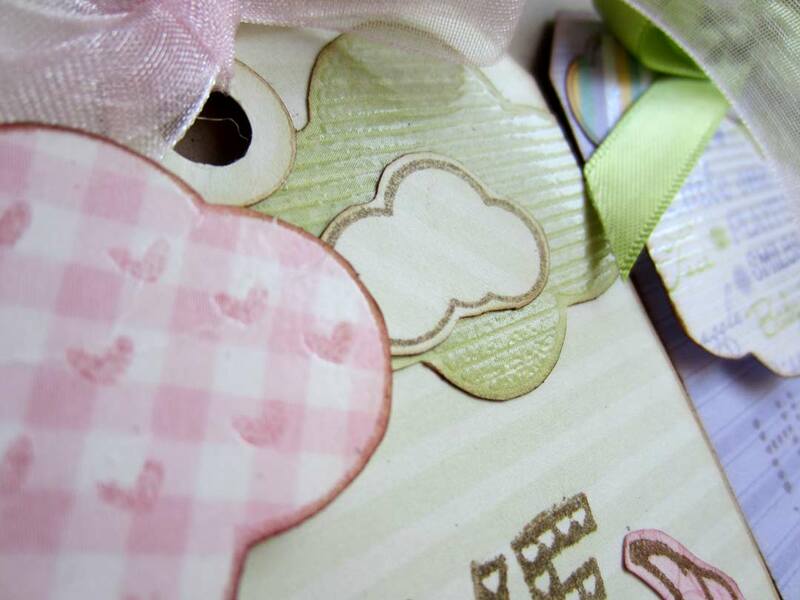 Then I adhered to the tag all the clouds that I had cut, embossed, and/or distressed for a nice variety of textures. 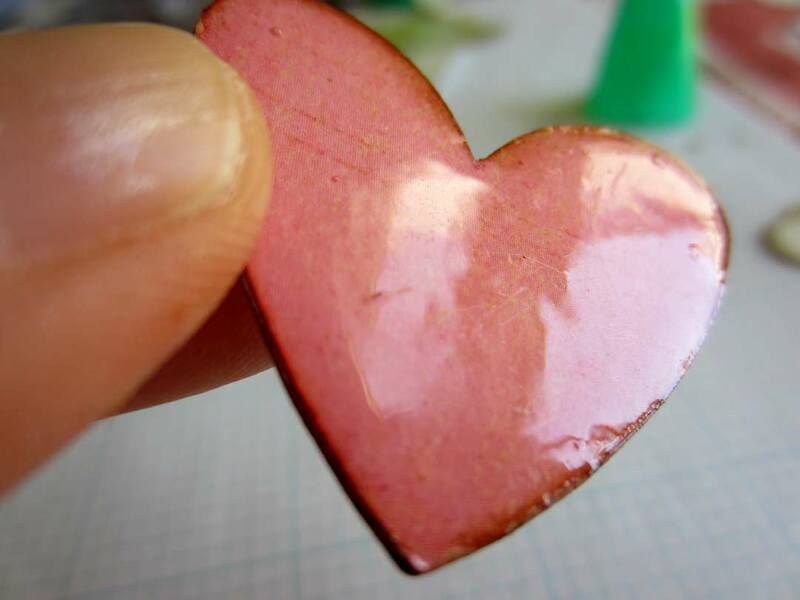 For the focal image, I die-cut folksy hearts from an old cereal box (yay upcycling! ), aged the edges with distress ink, and then applied a gloss medium for added shine. Sometimes you want the height of foam dots for pieces that you adhere to your projects. Sometimes you want them flat, so you use liquid glue or tape runners. Sometimes you want a height that lies somewhere in between. TIP: For dimension slightly higher than flat and slightly lower than what results from foam dots, you can apply transparent glue dots, ball them up by rolling your fingers over them, and then adhere! This little trick comes in handy when you want to have a subtle range of physical dimension on your project. 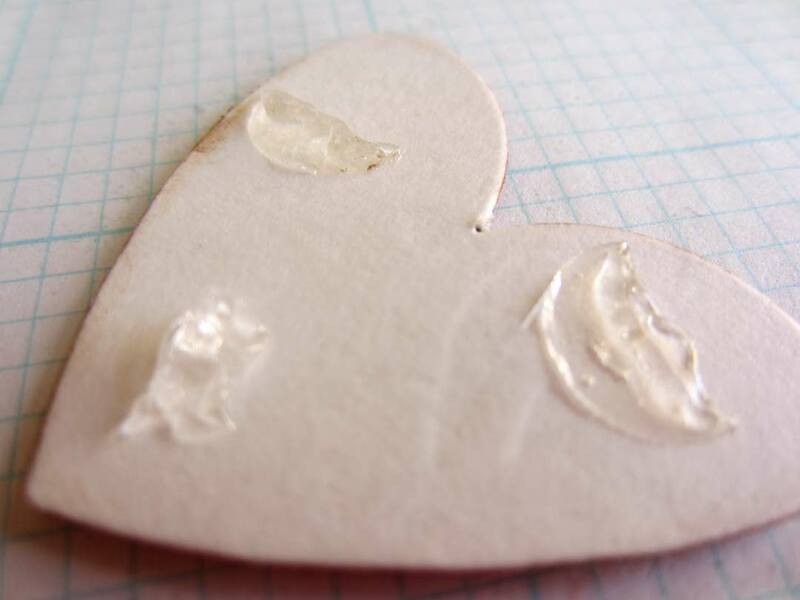 By including clouds stamped with frost white pigment ink from Colorbox onto kraft paper, I was also able to play with subtle variations from the matte of kraft to the eggshell sheen of embossing to the high gloss of the heart. If you enjoy video tutorials as much as I do, please visit me on youtube to see how I put together the boy's tag!